Station Square’s inaugural tower is located at #115 – 4600 Kingsway and is the most anticipated new address in Metro Vancouver. With prices starting in the low $280,000s, Station Square offers urban living in the prime Metrotown location, with phenomenal city or mountain views in every direction. You will enjoy being within walking distance to Metrotown, Crystal Mall, Skytrain, restaurants and more. Contemporary glass and concrete architecture design by award winning Chris Dikeakos Architects Inc.
View a sample of the floor plans here. Bright, airy spaces and lofty ceilings up to 9′ high. Premium finishes such as quartz countertops, Porter and Charles stainless steel appliances and integrated Liebherr refrigerator. Yoga studio and fitness centre. Kids’ play area and entertainment pavilion for all your entertaining needs. 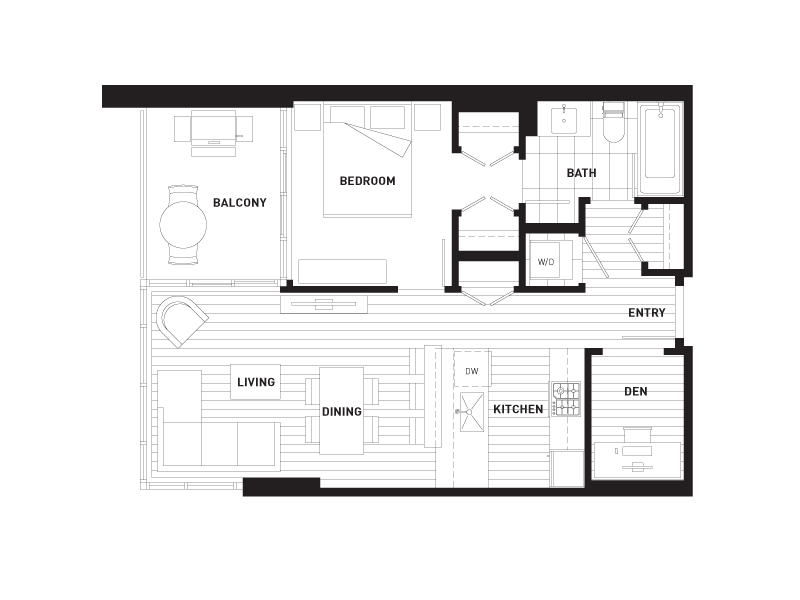 Suite C – 1 Bedroom + Den – 622 sq. 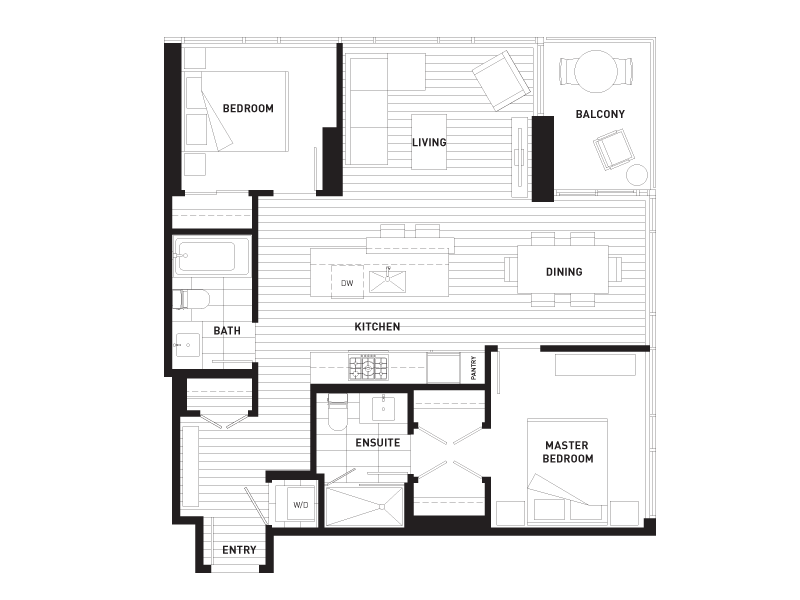 ft.
Suite F – 2 Bedroom – 885 sq. ft.
35 storeys residential tower designed by award winning Chris Dikeakos Architects Inc. Amenities include: 27,000 sq. ft. of green roof with landscaped gardens, fully-equipped fitness centre and yoga studio, BBQ and outdoor dining patio and an extensive indoor entertainment pavilion. Stainless steel and integrated appliance by Porter & Charles, Liebherr and Panasonic. 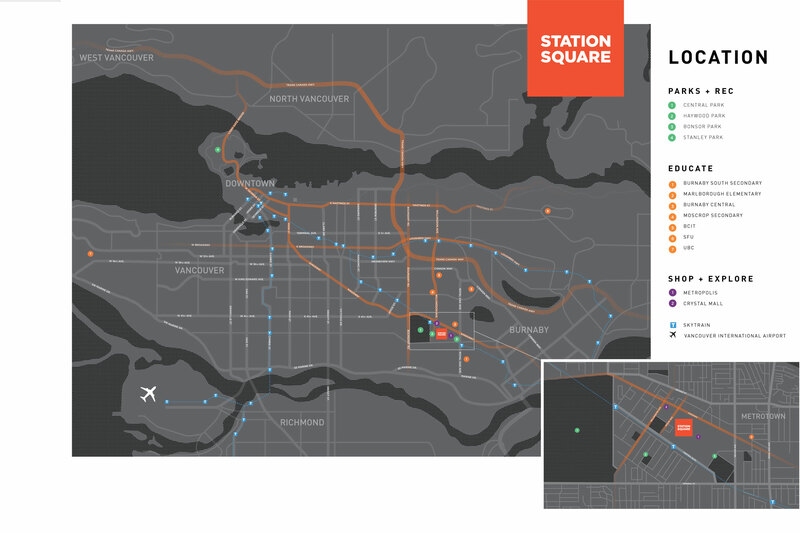 SkyTrain, Metropolis, Crystal Mall, banks, coffee shops, full service grocery stores and much more – all within 2 blocks. If you’d like to know more about this amazing new Burnaby real estate development or if you are thinking of buying or selling your home, please contact James Louie Chung, Metro Vancouver REALTOR® — Real Estate Agent at [email protected] or call / text ( 6 0 4 ) 7 1 9 — 6 3 2 8 today!